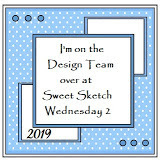 Wednesday again and time for another challenge over at Sweet Sketch Wednesday 2 .
who aregiving a great prize of £10 to spend on images. Blue card is American Crafts as is the bakers twine. super card, great papers and a really cute image! This is REALLY cute Anne! Your paper works brilliantly together and Winston is gorgeously colored. Ah, great sketch and love your take on it, unfortunately the sponsor hasn't shown up so no idea who the wonderful image is from, great papers and a superb card. 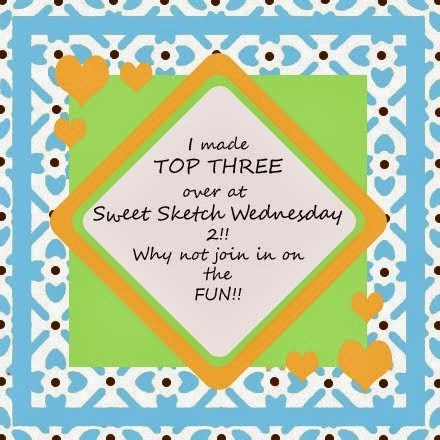 Love your card Anne!! 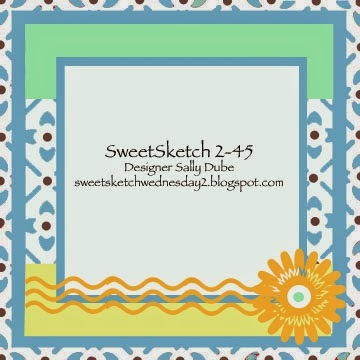 The flowery papers remind me that Spring is coming!! And isn't Winston just a Hoot!! Absolutely adorable Anne!!! Love your papers, all the bright, wonderful, and happy colors! They make me keep smiling indeed! !